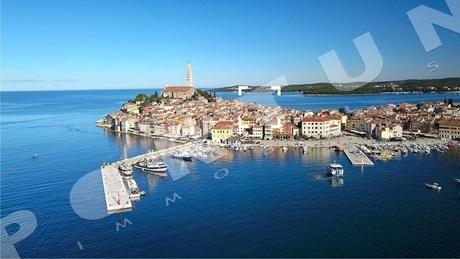 Are you looking for a perfect apartment in Rovinj? We offer spacious apartments for big families, apartments with sea view, apartments in the centre of Rovinj and luxurious apartments on top locations. If you need more information about buying apartment in Rovinj, visit our guide, and contact us for any further questions :) More about services for buyers! 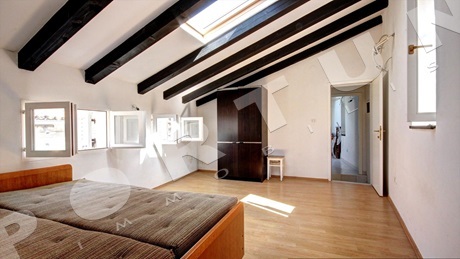 On the third floor of a historical stone house in the old town is arranged this two bedroom flat whose area is 56 sqm. 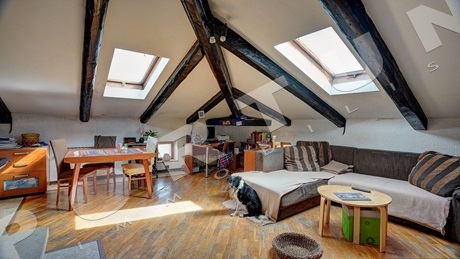 This flat, renovated in 2015 is arranged in a house which was completed in the late Middle Ages. 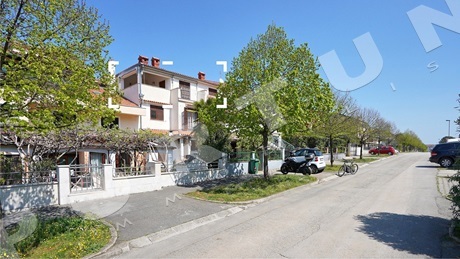 This three bedroom flat with large terrace is arranged over the second floor of a three-storey house in tranquil setting not far from the center. The flat measures 90 sqm. 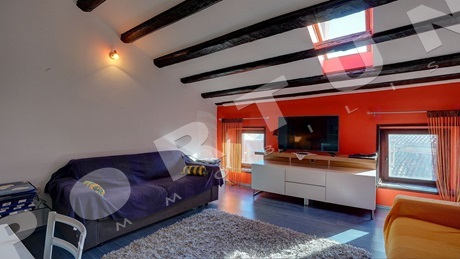 Located in the center of Rovinj, this restored two bedroom flat measuring 48 m2 occupies the attic of a stone house. The flat is not inhabited and can be taken into possession immediately. 2nd Floor. Kitchen/dining room/living room. Orientation: South. The second floor and attic of a stone palace in the old town are occupied by this two bedroom flat measuring 102,43 sqm. The flat offer sea view both floors. 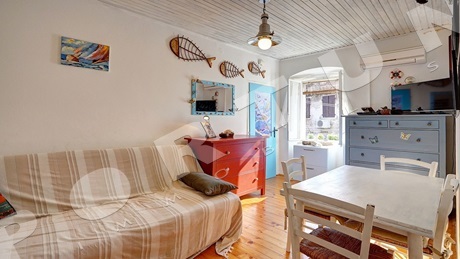 The attic of a historical stone house in the center of Rovinj is taken by this fully furnished one bedroom apartment. The apartment measures 56 sqm. The apartment offers sea view from the bedroom window. Ground floor. Dining room/living room. Orientation: Southeast. 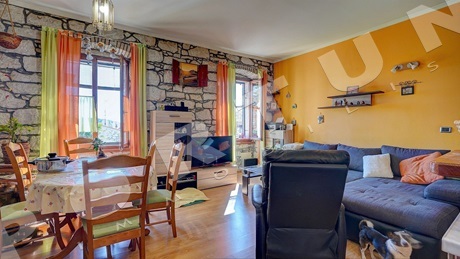 This bright two bedroom flat is arranged over the ground floor and first floor of a condominium in Rovinj. The flat measures 86 sqm. On the second floor of a stone house in the old town is arranged this one bedroom flat whose area is 30 sqm. 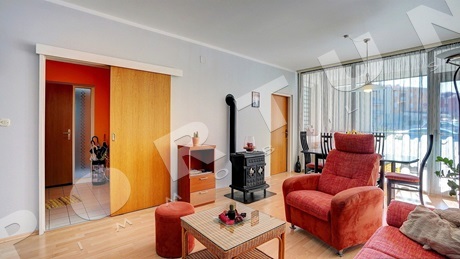 The flat is sold fully equipped, and the new buyer only has to bring along personal belongings. On the third floor and attic of a stone building near the sea and the center of Rovinj is arranged this five bedroom flat. The flat measures 150 sqm. The flat includes a second floor measuring 70 sqm and a loft measuring 80 sqm.